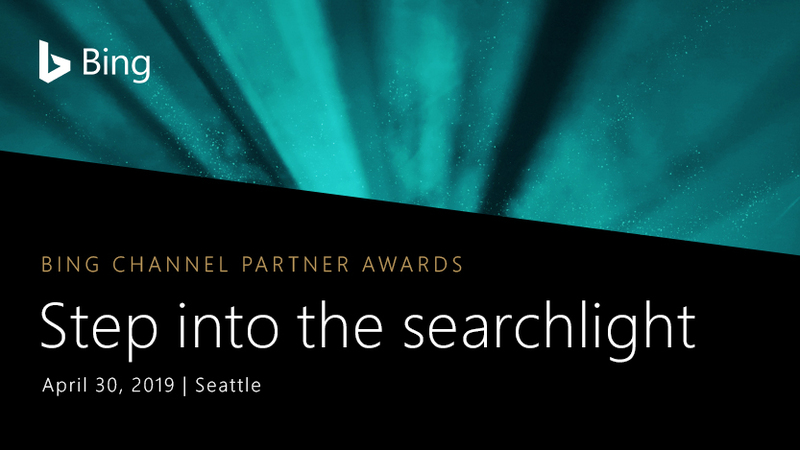 The Bing Channel Partner Awards recognize and reward our channel partners in North America, Australia and Europe who've driven impactful, innovative and performance-driven work with Bing for their advertisers. Every year, we look forward to receiving nominations for the powerful work done by our partners from across the globe. This year, the excitement starts when nominations open on February 1 and will culminate on April 30, 2019, with an evening of celebration at the award ceremony where winners will be announced in Seattle, Washington, followed by the Global Bing Partner Summit on May 1. Nominations will be open February 1-28, 2019, and the awards ceremony will be held on April 30, 2019.